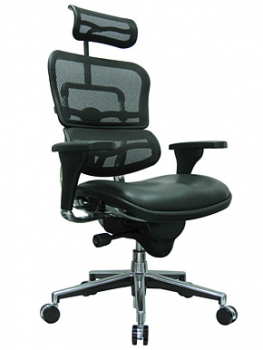 The LEM4ERG Raynor Ergohuman Chair features a seat made of comfortable, contoured foam with leather upholstery paired with a mesh back and headrest. 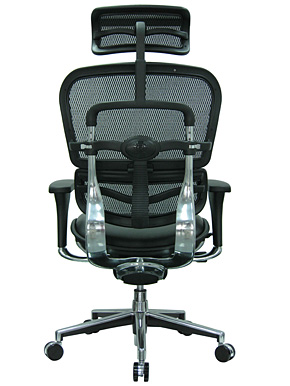 This versatile and durable mesh/leather combo on the high back LEM4ERG Ergohuman Chair provides a unique offering not found on many other ergonomic chairs. 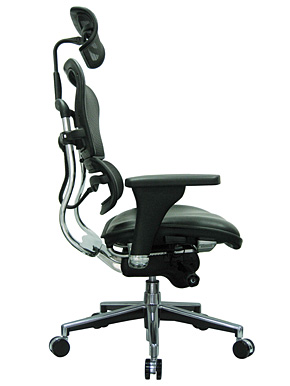 Additionally, this Ergohuman Chair offers users who sit longer than 5 hours a day the comfort of a contoured, padded seat with the breathability of a mesh back. 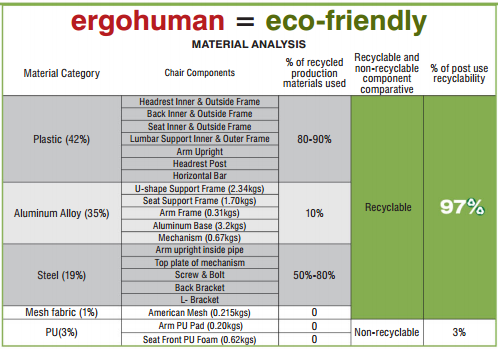 Every Ergohuman Chair is backed up by a warranty that covers all working parts for the lifetime of the product.